Nicole Lynn is in a very unique position. 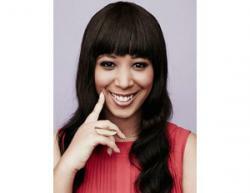 She is the first black female sports agent to represent top NFL agency, PlayersRep. In 2017, PlayersRep was acquired by Young Money APAA Sports Agency owned by world-renowned rapper, Lil’ Wayne. In an industry very dominated by male agents and players alike, Black Enterprise caught up with Lynn to find out how she has managed to navigate the murky waters and make it to the top. 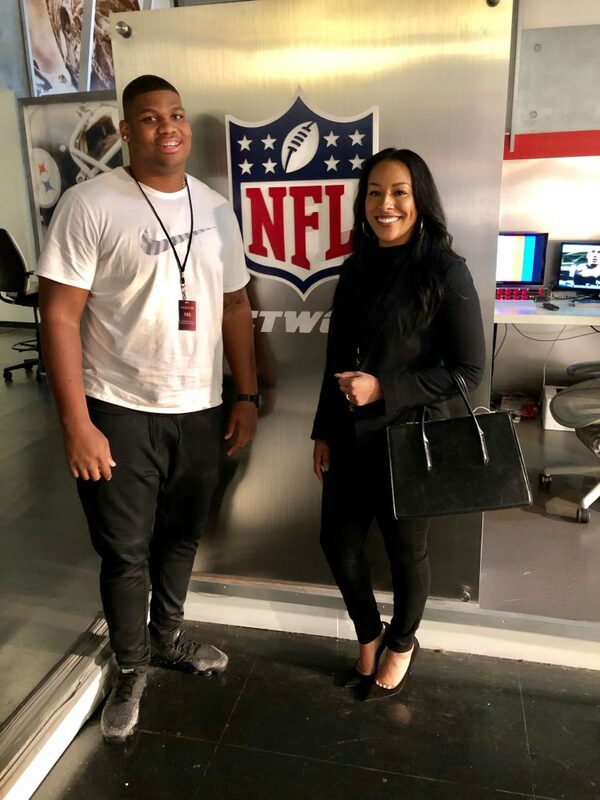 Black Enterprise: What is it like being a black female sports agent in a male-dominated industry? Nicole Lynn: There are over 800 certified NFLPA agents with only about 5% being women. Only a handful of those women are black, so it goes without being said that being a black woman in this industry is extremely challenging. There are so many random issues I face that my male counterparts will never understand. For example, I have to be extremely cautious about the outfits I choose. I have to find the fine line between being presentable and looking nice, but not too nice. You never want to look like you’re trying to stand out more than any other wife or mom in the room. The last thing you want to do is make a wife feel uncomfortable. So I battle with choosing a lipstick that isn’t too bright, heels that aren’t too high and a dress that isn’t too “dressy.” And to make matters worse, being a black woman who likes to change her hair frequently, I have to think of how potential clients will take it. Can I be the girl with Beyoncé weave? Will they be OK with my 3C natural hair with a twist out? Male agents never have to think about half of the potential issues black female agents silently battle. Despite all of this, I know that I cannot let these personal challenges hinder my performance. Confidence is key in this industry. I always tell potential clients, “I can do a lot for you—get you the best deal, market the crap out of you, and work hard for your family, but there is one thing I can’t do, and that is changing the fact that I am a black woman. If you can accept that, we can make magic happen together!” I pray that my work always speaks for itself and shows that I am equally as knowledgeable, negotiate just as aggressively, and possess the tools necessary to help clients propel their career. How did you enter into the industry? I’ve always wanted to be a sports agent, but I didn’t quite know the name of the role. I just knew I wanted to help athletes be successful during and beyond their time in the league. With that in mind, every decision I made was extremely calculated with the same endgame in mind. I got a degree in business and then moved to New York City to work on Wall Street. My initial intention of getting into finance was to help athletes manage and retain their wealth. While working on Wall Street I learned that the most influential person in an athlete’s life is their agent, not necessarily their financial adviser. The agent helps the athlete with the day to day needs of the athlete and helps them back the big life decision. After I determined I wanted to be a sports agent, I immediately applied to law school. I went to law school knowing I would later sit for the NFLPA agent exam. I worked at the NFLPA in Washington, D.C. before starting as an agent so I could learn everything I could about life after football. In 2015, after passing both the Texas Bar and NFLPA exam, I started calling around to different sports agencies. Almost none returned my calls. I finally got one to answer, Ken Sarnoff. He basically told me that being a sports agent is hard and that I should rethink my plans. He even challenged me to get him a meeting with a certain NFL prospect with little faith that I would actually succeed. If you know me, then you know that I don’t give up. I called Ken back a couple hours later like “hey he’s available tomorrow, you got an opening?” From that point on, Ken understood that I had what it took to be in this industry. He hired me a week later and I joined the top 10 sports agency PlayersRep. Two years later, Young Money APAA Sports, owned by Lil Wayne, acquired PlayersRep and we’ve been in a whirlwind since. Like how crazy is it to have Lil Wayne as your boss?! Even I couldn’t have dreamt this up! Being a sports agent is hard, to say the very least. You invest a significant amount of time and resources only to get a lot more no’s than yeses.’ However, the feeling you get when you’re able to get your client on the team of their dreams or negotiate the endorsement deal of a lifetime, it is all worth it. I love my crazy job! What do you think that you bring to the table that your male counterparts do not? I don’t want to take anything away from the men that work in this business. There are a lot of very good male sports agents that truly care about their clients. However, I think one of the differences between me and my male counterparts is that I focus on more than just the NFL contract. I tap into the human element and the emotional aspect of the relationship with my client. I am a sports agent, but also a life coach, a financial adviser, a travel agent, a therapist, a friend, a sister, and a keeper of peace for my clients. I wear a lot of hats. Many men in this business refuse to wear those hats. I also focus from day one on life after sports. I want to make sure that my client’s transition out of the league is seamless. From the moment I sign a client, I am already having hard conversations about what is next? What is their plan when playing football is over? And I help them in executing this plan by pushing them to finish their degree, to do externships in the offseason, and to retain their wealth. I truly care about the long-term future of my clients.